Tom is the Education and Social Affairs Correspondent for ITV Tyne Tees. He covers stories relating to schools, colleges, universities and social issues affecting the lives of people in the North East. Previously, he was Education Reporter at ITV Wales. The Facebook page of Bishop Auckland Against Islam included praise for violence against Muslims and suggestions they should be killed. Many experts say children are victims of a junk food environment. So what should be in the government's upcoming childhood obesity strategy? Easington Colliery closed in May 1993. Local people say the jobs lost have never been replaced - and their community is struggling. Can we really say to children from the north: "you can do anything you want to do"? It seems, in far too many cases, that's just not true. 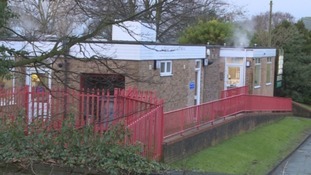 An investigation by ITV News Tyne Tees has found inconsistencies in how often risk assessments are carried out in schools around the region. The flagship 'Opportunity Areas' scheme aimed at improving social mobility does include the North Yorkshire Coast. The Bishop of Durham says the North East has "responded positively" to the Syrian refugee crisis. New figures suggest children going hungry in the school holidays is a bigger problem in the North East than any other part of the country. This week's reports into the murders of Angela Wrightson and Lee Irving found a number of authority failings, and pressure to make changes. Figures shared with ITV News Tyne Tees highlight fears over workload pushing teachers out, and our schools struggling to recruit good staff.